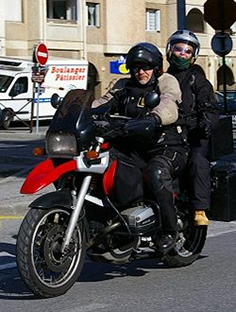 A few weeks on from the reporting in Motor Cycle News, 100% Biker and Back Street Heroes, and on social networks, the claim of the banning of long forks and chopper style motorcycles across the EU seems to have waned. All the “Hullabaloo” started when a presentation by the European Commission (EC) to the Working Group on Motorcycles (MCWG) mentioned in an exchange of views on a draft document – Regulation on vehicle functional safety requirements (RVFSR) that steer-ability, cornering properties and turn-ability needed to be addressed due to issues observed with extreme chopper style motorcycles. The “Hullabaloo” led Right To Ride and the Swedish riders organisation SMC to report on the issue which included a statement from the Federation of European Motorcyclists Associations (FEMA) that there was NO evidence that choppers were set to be banned. In the latest presentation by the European Commission (EC) to the Working Group on Motorcycles (MCWG) on 17th April 2012 the EC says, that specific requirements on Steer-ability, cornering properties and turn-ability, will be completely revised and was NOT meant to single out choppers in general, as long as they are safe. This “Hullabaloo” was put out and about through the motorcycle press, but what are the rest of the UKs motorcycle press reporting on this proposed EU Regulation? Previously we commented on articles from a reasoned debate in American-V, to a “lay” explanation of the regulation proposal from Fast Bikes, to Motorcycle Sport & Leisure’s rational article to RiDE’s attempt to get an overall grip on the issues of legislation and regulations. Back over at RiDE magazine it’s, “The Fight To Save Biking” with a report based on a Motorcycle Action Group (MAG UK)meeting at Bridge Motorcycles in Exeter with MEP Giles Chichester. Ride report that all around Britain they (MAG UK) are doing their best to mobilise riders in the confusing, frustrating fight against anti-bike proposals from Europe. Paddy Tyson, MAG’s Campaign Manager is quoted as saying, “As far as he can tell the legislation will focus on powertrains, rather than worrying about non-standard petrol tanks and tail tidies”. However blowing this out of proportion, with a picture of a Ducati, the article comments that if the current proposals go ahead, it suggests that of the exhaust, Power Commander, tyres, rearsets, crash protection and racing levers that are all non-standard, some of these mods could be outlawed. At Bike magazine Rupert Paul heads up his column with, “The most important thing I’ve written…” which is about the proposed EU Regulation and conversations with the British Motorcyclists Federation (BMF) Chris Hodder and Paddy Tyson, MAG’s Campaign Manager. Rupert Paul likens the threat to motorcycling as being on the Titanic and about to hit a great iceberg called type approval. He adds that as a journalist to keep “you” informed that he apologises that it has taken so long for the penny to drop and for being asleep for so long. His penny has dropped on the side that all mods to enhance performance are going to be prohibited including mention that it could include, “that Maxon shock you’ve always promised yourself.” A ban on overriding safety features, such as permanent headlights and ABS, he states he prefers the freedom of choice and requirements for most bike shops to look out for and report non-approved parts on customers’ bikes. But this is rubbish, motorcycle manufacturers are free within the proposal to have an on off switch for ABS and permanent headlights on. Since the voluntary introduction by the motorcycle industry on permanent headlights or as it is more widely known and called Automatic Headlight On (AHO) there has been no switch fitted. Although if you are the owner of certain BMWs there is a procedure so you can switch the headlight off for “Off Road” use. Perhaps Rupert Paul is in the twilight zone, somewhere between sleep and waking up from a nightmare. Meanwhile the magazine continues with a two page feature on how worried you should be on the “Extreme French Measures”, Compulsory Dayglo Jackets in Ireland, perhaps Bike should have asked MAG Ireland about this before going to print, because if they had, they would have learnt that this is not true. New Licence Laws, the Third European Driving licence introduction, Power Limits, Type Approval and the advice to protest under the banner of either as a member of the British Motorcyclists Federation (BMF) or the Motorcycle Action Group (MAG UK). 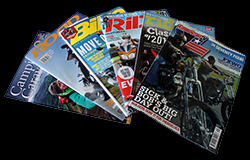 At Right To Ride we are members of both MAG and the BMF and so receive their members magazines, which as you can imagine report extensively on the proposed EU Regulations. 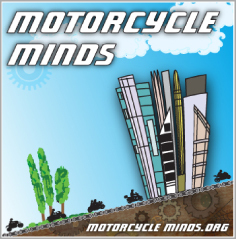 Both have reported in their latest editions regarding the Riders Are Voters (RAV) motorcycle lobby day in Westminster which was held in partnership with RAV partners, the Auto Cycle Union (ACU) and the Motorcycle Industry Association. The lobby day dealt with key issues and the type approval proposal. You will need to be a member to read in full what the BMF and MAG are reporting in their magazines but picking out one quote from each might give an idea of what each are saying. Since the organisations respective magazines have gone to press, the BMF has reported that their Chris Hodder has travelled to Brussels in order to clarify the motorcyclist’s case. Hodder says that confusion has arisen because there has been a lot of ill-informed scaremongering over these proposals (sometimes throwing in issues that have nothing to do with this legislation) that have only served to confuse the whole issue, including MEPs. He also says that the BMF has concerns, namely over ABS and sweeping anti-tampering proposals, but that there are positive things in this legislation that we should welcome, such as CO2 measurement, universal access to repair and maintenance information and standardised diagnostic systems (i.e. warning lights for failed components). MAG announced, at their AGC (Annual Group Conference) and on Facebook that they are organising a UK wide demonstration planned for the 24th June in each EU Parliamentary constituency. It was announced at the MAG AGC by MAG’s Paddy Tyson that European rider organisations in Belgium, the Netherlands, Germany and Finland will be joining in, so that the demonstration is co-ordinated in their own countries. Meanwhile as members of the Camping & Caravanning Club, our copy of their magazine has just dropped through the letter box. Just like a motorcycling magazine there are features and articles and reviews and like any members magazine the Editor, the Chairman and the President (if you ever wondered where David Bellamy disappeared to) have their say. It’s a good value for money magazine along with discounts for camping, motorcycling and tents do match and mix.